Home / Blog / Is It Time For A New Garage Door Opener? You may have to keep your car on the street or in the driveway, losing the protection you paid for when selecting a home with a garage. If your garage door won’t shut correctly, it also exposes your home and family to unnecessary danger. 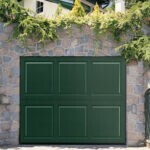 Garage doors are a key component of home security. 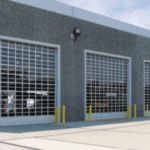 At Colorado Overhead Door, we can repair or replace any type of door opener. If you are tired of your garage door opener, let us find a solution for you! 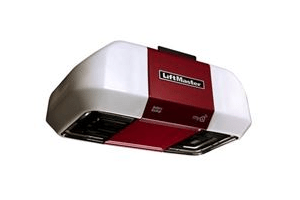 We carry a wide range of LiftMaster garage door openers, providing optimal power and quiet efficiency. 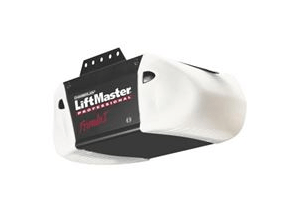 Colorado Overhead Door knows how important it is to trust your garage door opener, which is why we offer a wide range of professional line openers for residential and commercial customers. Any time of the year is good to give your garage door a good tune up and replace any of the components that might give you trouble during the next season. Prevent an uncomfortable situation by calling us today! By updating your garage door opener and giving your garage door a good tune-up you will have a perfectly operating garage door system for many years to come. Our goal is to help you select a garage door opener that fits your specific needs. Contact us! Our team of experts will give you their professional opinion once you decide to update or replace your garage door. Together we will help you determine which options are best for you. By calling Colorado Overhead Doors you can get rid of all your garage door headaches. We provide door replacement and repair for the entire Front Range. We are widely known for our high-level workmanship for the last three decades. We always offer the best prices, and all our employees are professionally licensed.